I’ve talked about college roommate issues here before (particularly on a posting Nov. 28, 2006 on this blog), so it was interesting to me today to see, in the Metro Section of the Washington Post today, Sunday Oct. 18, the article by Daniel de Vise, “Colleges speaking up to protect shy ‘sexiles’”, link here. David Moreton's 1999 gay flick "Edge of 17" has a college campus dorm scene in which this happens, as I recall. I was not aware it is socially acceptable now on many campuses for someone to ask a roommate to vacate the room for the sake of having a tryst (straight or gay, but the straight experiences are facilitated by co-ed living). 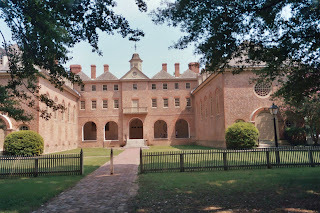 But I found it particularly interesting, given my own history, that the College of William and Mary (in Williamsburg, VA) is discussed as having implemented some sensible roommate policies. Like on many older campuses, some of the dorm rooms are small. In the aftermath of “Don’t Ask Don’t Tell” (as debated and legislated in 1993), Northwestern University sociology professor Charles Moskos sometimes talked about gay issues on campus, and said that many universities did well to make sure that gay students had gay roommates (that is, that straight men did not have gay roommates). But since 1993, the thinking on this sort of thing, as to “privacy”, has changed, both in and outside the military, and on campuses, thankfully.